As the population of adults diagnosed with autism grows, a new study provides a first step toward identifying whether this population is getting help with a key element of independent living — appropriate driving education. Only a few studies have investigated driving ability in individuals with autism, and those studies concentrated on adolescents and new drivers rather than experienced adult drivers. Those studies relied on either parental reports or evaluations based on one aspect of driving behavior. But in the new research, a team led by University of Drexel psychological scientist Brian P. Daly used a self-report survey to poll 78 adults with autism spectrum disorder and 94 adults without such a disorder. The results of the report appear in the . According to the survey results, adults on the autism spectrum on average got their driver’s licenses later in life, drove less frequently, and regulated their own behaviors more strictly — by avoiding things like highways or nighttime driving — than adults without a disorder on the autism spectrum. Autistic respondents also reported more traffic violations than their peers. The Drexel researchers point out, however, that the small sample size and self-report method of their study means the results could be explained in many ways. For example, the autistic respondents may truly have been worse drivers with more traffic violations than their counterparts; on the other hand, they may have been more self-aware of their driving difficulties and more honest in their reports of violations. This second scenario would also explain why autistic adults were less willing to drive in situations in which they were even more likely to have trouble, such as at night or on high-speed roads. 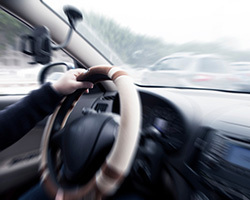 The psychologists also found that, rather than having trouble with one particular type of driving skill, such as predicting others’ reactions or reacting to surrounding movements, adults with autism spectrum disorder struggled with all skills related to driving. In a new phase of their research, Daly and Schultheis want to use driving simulations to objectively capture aspects of actual driving performance in adults on the autism spectrum.